Kajal Asrar is a luxury Oriental fragrance for women and an ode to a time and place where impassioned love is hidden underneath protective layers of shyness and secrecy. Asrar (Arabic: أسرار, transliteration: as-rahr): Secrets. Arabic language in general, and its poetry in particular, carries an ocean of subtleties within its structure and meaning. This makes it a suitable match for capturing the intricacies of love and its mystery. For this reason, writer and poet Elen Ayoub wrote a love poem specifically for Kajal Asrar. 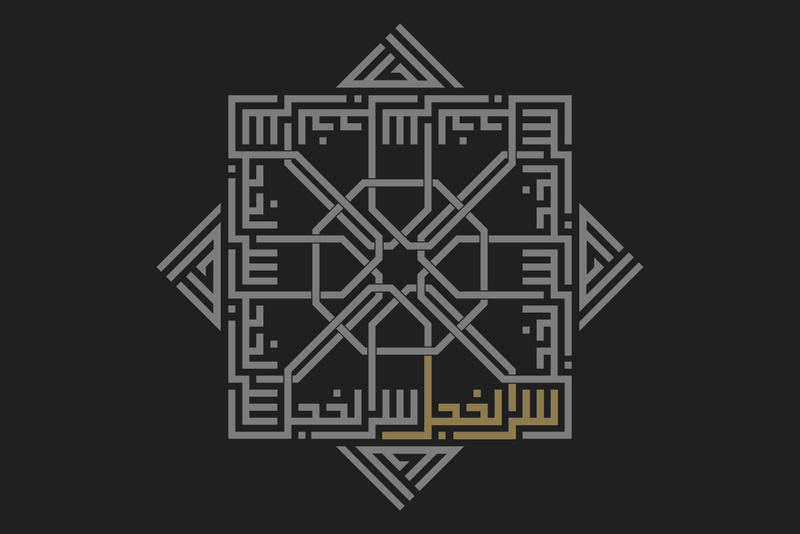 Similarly, Arabic calligraphy is an ethereal art form that transcends the need for figures and pictorials, and is traditionally reserved for expressing the most complex of meanings with the most economically elegant of strokes. The written poem, shyly professing eternal love, therefore becomes the natural semantic and visual language for the perfume. Everything is designed around the central theme of mystery. 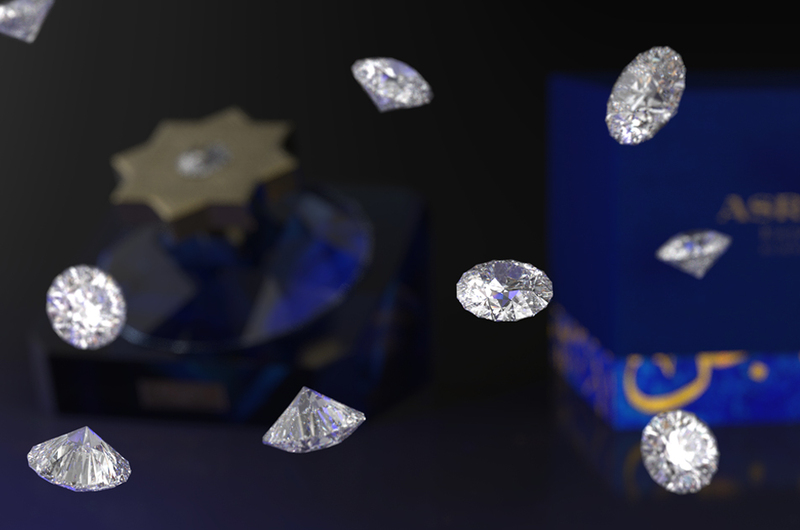 The perfume bottle, adorned with a single Swarovski diamond embedded in its cap, is itself designed to resemble a diamond embedded in a glass base, with the latter representing a host rock. This “diamond in the rough” concept is complemented by the packaging, which from the very beginning hints at something very special hidden inside. The unboxing of the perfume, as well as the ritual of extracting the bottle from its base, is interactive and forms a very special bond with the scent’s owner.